Practical - Over the 4 days students will design 6 different style arrangements suitable for many occasions and events. Our Module 1 Beginners Level Floristry Certificate is the first stepping stone into your career as a florist. 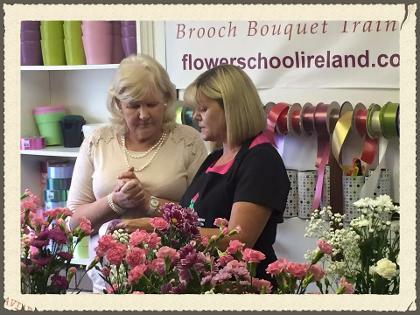 Now recognised as Ireland’s Award Winning Flower School we have designed this Flower Course with the complete novice in mind. 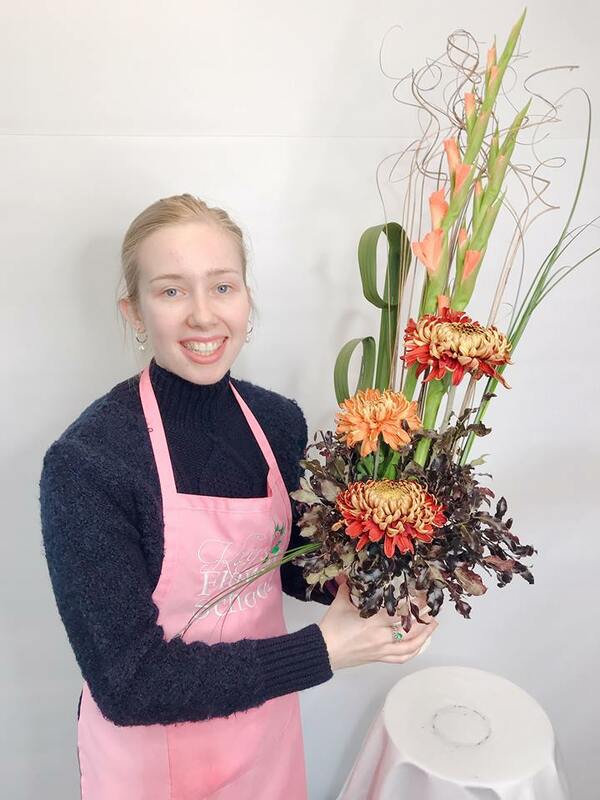 This foundation flower course will provide you with the skills you need to create stunning displays for many occasions and is a stepping stone into your future career as a florist is this is the route you plan to take. Students attending our courses must supply their own scissors for training. Florist scissors are available for sale at the school. Throughout all our Flower Courses you are provided with step-by-step comprehensive instructional notes and an itemised list of the materials required for each Flower arrangement you design. We keep writing for you to a minimum although some notes will be provided each day. As a student of Kay's you will have access to our Online student resource section on our website, and you will have the full support of your tutors long after you have completed your training with us. 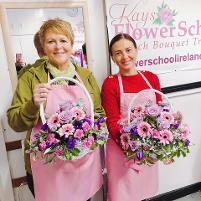 It is this support that Kays Flower School has built their reputation. 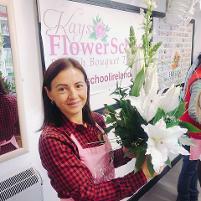 Our motto is "One a student of Kays, always a student of Kays"
On completion of this Module 1 Professional Floristry Certificate Course you will have created at least six different flower arrangements which are all yours to take home. 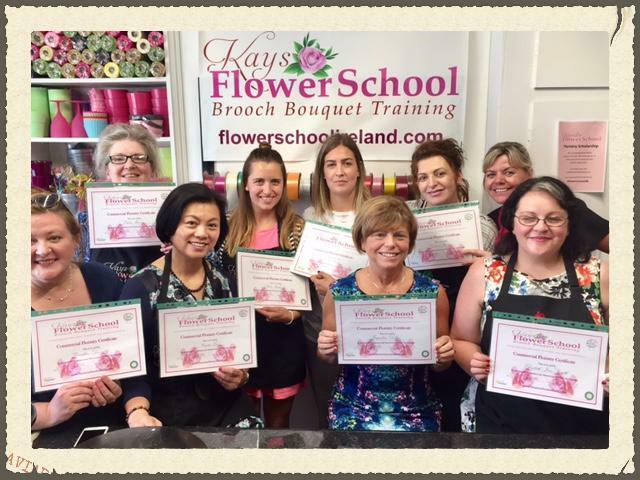 You will be awarded Kay's Flower School Certificate of Completion once you have achieved the standard required on this Flower Arranging Course, this certificate is recognised Nationwide and also in the UK as a result of over 30 year successfully training florists. Booking Fee: €200 to reserve your place and the balance can be paid by cheque or bank Transferseven working days before your course begins or by Cash on the first day of your course. 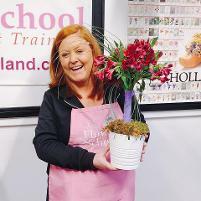 1 Day Option: To attend just 1 day of this flower arranging course the fee is €200 per day, please send on full amount in advance to reserve your place. Please contact us at the school to see if we can organise the Flower Arranging Course Syllabus for the day you wish to attend. "I know it would be good already, but didnt realise it would be so good, exceeded all my expectations"
"I really liked the relaxed environment of learning"
"This course is great, I really enjoyed the friendly atmosphere, and so many good ideas"
"A Friendly relaxes insightful course with more than enough information & guidance to let me on my path to floristry"
Kays School of Floristry has been delivering training for over 30 years,in a fun and inclusive environment, every students gets lots of attention and support during the course. All our flower arranging courses are practical hands-on courses so please wear suitable clothing .